A hand tool is an instrument of various forms and purposes, traditionally operated by the muscular power of the user. Major section of hand Tools are of Percussive variety. These tools are used to deliver blows such as axes, adz, and hammers, etc. Other varieties include cutting, drilling, and abrading tools such as the knife, awl, drill, saw, file, chisel, and plane. Percussive tools deliver concentrated blows or impact in swift motion and so are also called dynamic tools. The prime tools in this category are the Axe and Hammer. An axe is a cutting tool, but it has been used for striking, so a percussive tool. 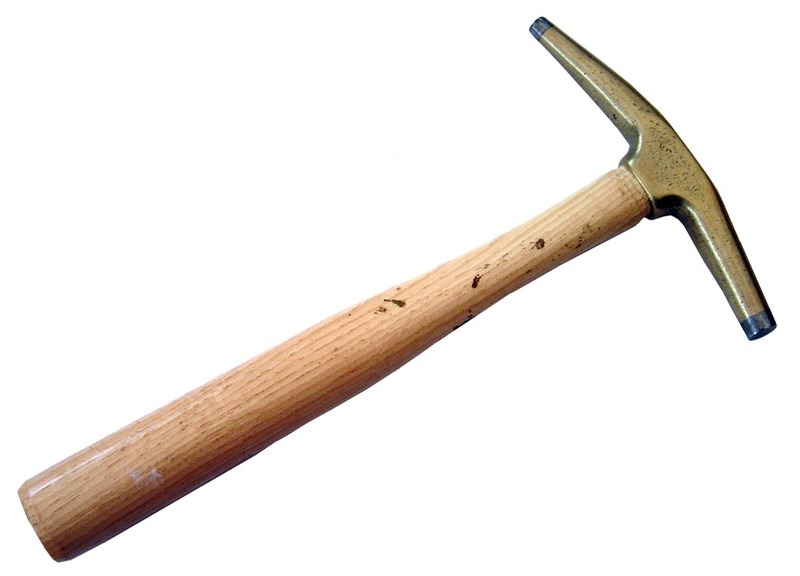 A hammer is a striking tool also known as a pounder, beetle, mallet, maul, pestle, sledge, etc. There are many trade specific hammers, like, the carpenter’s claw type, smith’s riveting, boiler-maker’s, bricklayer’s, blacksmith’s, machinist’s ball peen and cross peen, goldsmiths’, smith’s stone (or spalling), prospecting, and tack hammers. Each hammer has a distinctive form, with minor variations in terms of weight, length and angle of the handle, and the profile of the face. 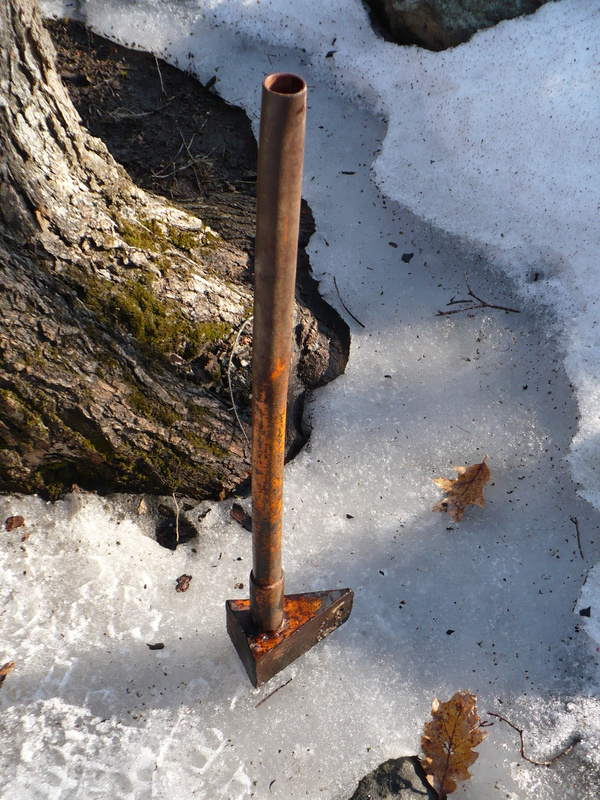 A pounder, or hammer stone, was the second tool, after the axe to have a handle, marking a great technological advance. A long handle, is needed for striking effect such as in a tool used for light blows. It makes the tool easier to control, and generally reduces operators’ fatigue. Club like pounders or mallet, with a handle of the same as well as different materials are widely used. The hammer as a tool, for nailing, riveting, and smiting, originated in the Metal Age. For beating lumps of metal into strips and sheet, heavy and compact hammers with flat faces are needed, whereas lighter ones are more suited to riveting and driving nails and wooden pegs. Hammers with dual heads are in use since Roman age. Hammers with dual heads include, clawed hammers for pulling out nails, hammers with a chisel or pointed ends to dig out shafts, toothed edges to smoothen the stone surfaces. Other special forms of the peen (-the end opposite the flat face) like hemispherical, round edged, and wedge like shapes helped the metalworker stretch and bend metal or the mason to chip or break stone or bricks. A file maker’s hammer has two chisel-like heads, to score flat pieces of lead (file blanks) that are subsequently hardened by heating and quenching. Heavy hammers are used as part of power tools, and largest are the pile drives for foundation work. Trip-hammers are gravity impulse based but steam hammers use, besides gravity a downward thrust from a steam-pushed piston. Pneumatic hammers are driven by air and include the hammer drill used for work on rock and concrete. The rivetting hammer is used in steel construction for flattening rivet heads over girders and plates.